Coming up with ideas for games is hard. Coming up with good ideas is even harder. 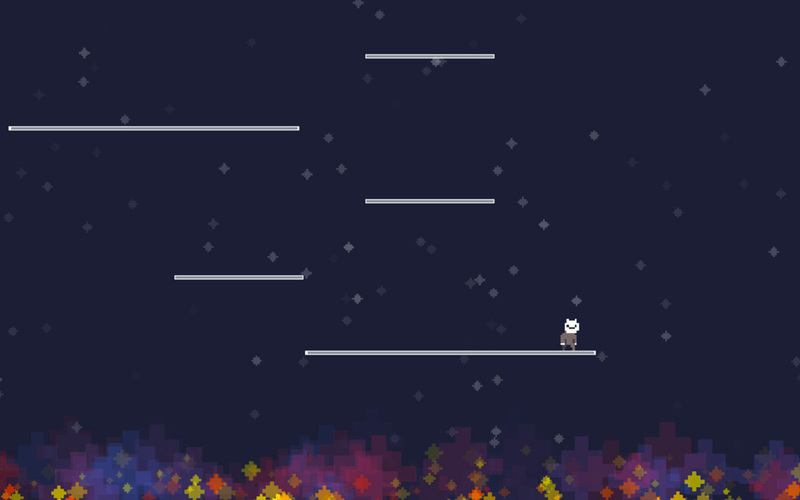 With this formula in mind, and as a way to take a break from Bright Ghosts dev for a little while, I decided to explore a simple 2D platformer concept titled, Falling. Essentially, the player starts at the bottom of the level and must ascend a series of falling platforms to make it to the top. The process of making a simple game with a clearly defined endpoint was extremely refreshing. After months of fumbling around with Bright Ghosts, is was a relief to start a project, spend a few hours on in (in total), and then close it up when I felt like it was done. Oddly enough, finishing this little idea and putting it out into the world was very cathartic, and scratched an itch that I had thought publishing Bright Ghosts could only scratch. It’s made me want to make another prototype and just put a hold on finishing Bright Ghosts entirely. As Tobias van Schneider said in a blog post that side projects should be stupid and fun. Keeping them ‘stupid,’ he argues, limits their structure and allows for exploration and different types of success. It also keeps you from getting too burnt out on your primary projects. So I’m just going to roll with it and see what happens. I think I might make one more prototype before returning to development on Bright Ghosts. Feel free to play Falling online (Firefox, IE, Safari and sometimes Chrome supported) and let me know what you think!